Mardi Gras! 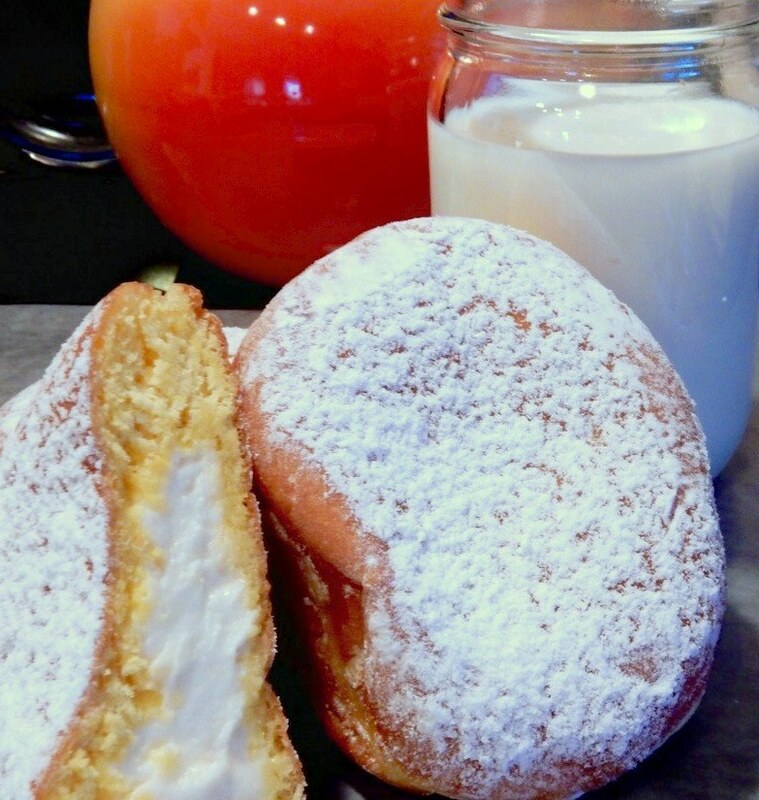 How To Make Paczkis | Winners Drink Milk! Mardi Gras, or literally Fat Tuesday, is the day before Ash Wednesday which marks the beginning of the Lenten season leading up to Easter. Many people practice fasting during Lent and so Fat Tuesday was the day to clean out the cupboards of all the sugar, butter, eggs, cream, etc. since you wouldn’t be using those foods during Lent. How do you get rid of all those ingredients before Lent? You would use them up in luscious, rich baked goods and thus, the Paczki was born. I sing the praises of the Paczki. I grew up in St. Joseph County, Indiana, home to many wonderful Polish Americans and their delicious food traditions. 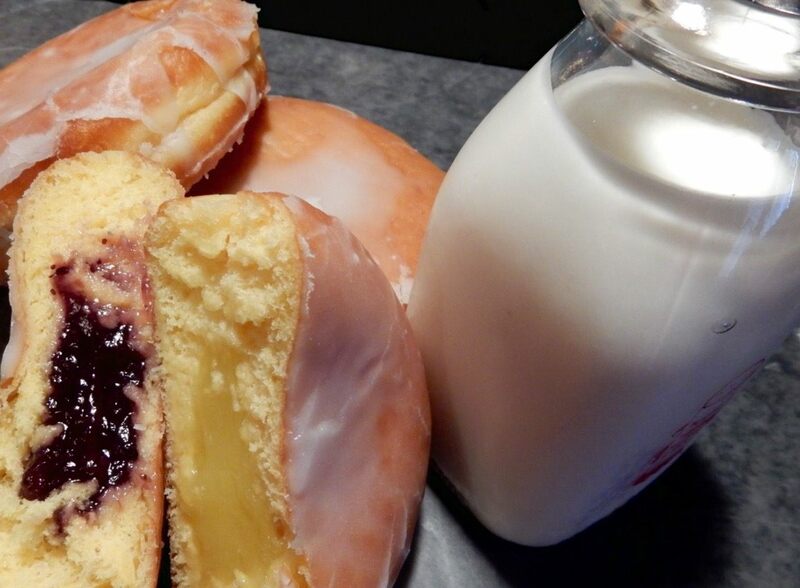 The Paczki, pronounced poonch key or punch key is sort of a Polish donut but so much richer and filled with fruit or cheese. You can purchase them this time of year in most grocery stores and bake shops. In writing this blog I needed to purchase the Paczki several times. They kept disappearing! I needed to restock the milk, as well! Would you like to try making them at home? Here’s a recipe I found online along with a step-by-step how-to video. Scald milk and then allow it to cool until it is lukewarm. Put yeast in the milk and set aside. Beat the sugar and butter until fluffy and then add salt, eggs and flavorings. 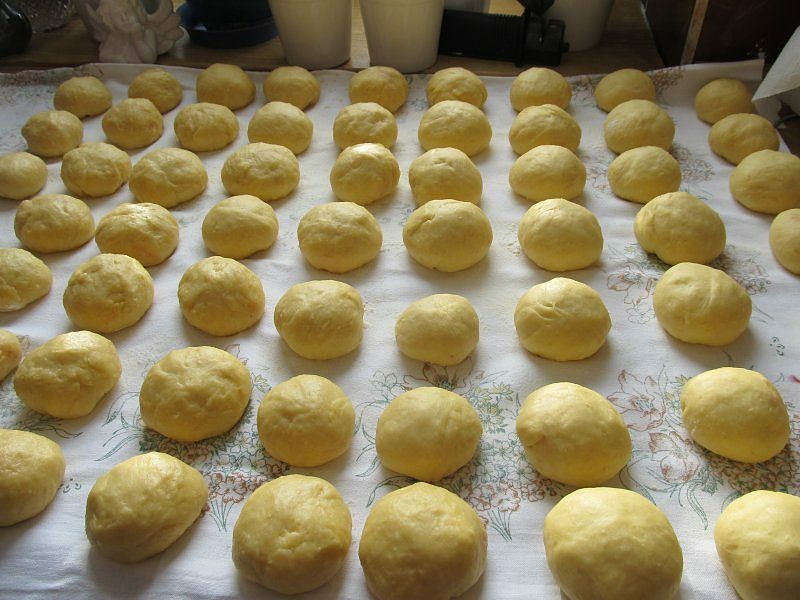 Add flour and the milk-yeast mixture gradually, beating well. Place dough in a greased bowl, cover and let it rise until it doubles in size. Punch it down and then let it rise again. Place dough on a board and roll it out so that it is about half an inch thick, then cut it to size. Using a cutter that is about 3 inches in diameter results in making the paczki a little smaller than the ones typically found in stores, but you can make them as big as you want. After cutting, let the dough "bench proof" by covering the pieces of packzi dough and letting it rise a little more, about 5 minutes. Fry the dough in lard – or vegetable oil if you don't have any handy – for about 3 minutes before turning to the other side. Ideally, the dough should float to the top as soon as it's placed in the oil. Cooks should only turn the paczki once. It's best to do this step in a deep fryer, but those without one can use a pan with sides that are at least 4 inches tall. Basically, you want the oil to cover half the depth of the dough. Place the fried dough on a plate covered with paper towels to absorb the excess grease and let it cool. Julia's recipe calls for just a dusting of confectioners' sugar once the paczki have cooled, but bakers can add a filling too. Just place some jam into a pastry bag, poke a hole through the pastry and squeeze the bag until the filling comes out at the end. Any fruit jam will work, but prune jam is more traditional. High-quality seedless jam is the best kind to use in this recipe.